what is fasting and can it be beneficial? Many of us know it as a protocol the doctor prescribes before blood testing. For others, it may mean giving up a favorite food for a period of time or not eating food at certain times of the day or year out of respect for various religious holidays. Periods of fasting did slow the rate of cell division (a measure of cancer risk) in mice, according to an American Journal of Physiology study. The researchers aren’t sure why, but say it may result from a decrease in growth factors that results from nutrient deprivation. But since the science is preliminary, you shouldn’t fast solely for cancer-prevention purposes until there is more definitive research on humans. So these are some of the major benefits of fasting.If you do wish to add some more in this list let us know through your comments.Thanks. This has to be done with medical supervision. I think eating in moderation is still the best thing. Extremes have to handled with care. I don't think it's all about fasting, I think it's about living a healthy lifestyle or having a healthy diet. But regardless, it's good to take a break from all the fatty food that we consume and make sure that we just right. With those health benefits, fasting seems to be a great way to improve the body system. However, I don't think I can stand a day without eating (or drinking water at least) because of the amount of energy I put to work. It's okay to take a break sometimes especially if you think that you've been consuming too much food. I won't really considering fasting as an option but it does have its benefits. Thanks for this insightful post about fasting! I experienced this fasting and really very positive with my body system. But lately, without limitation, it gave negative point with my health. Nice post and tips for healthy living. I think fasting can be a great way for your body to reset. You just have to make sure that you are guided properly on the fasting. I would support my friends when they fast but I'm not sure if I would be able to do it myself. Long hours of not drinking water, I wouldn't be able to take it. I didn't know that fasting has benefits to offer. this is a good read. It gave me another information that I can share to someone. I also advocate fasting, as you need to give your intestinal tract time to remove waste and toxins without introducing more at the same time. When you intend to fast for an entire day, it is best to take a day in which a low amount of energy is exerted. Otherwise the body needs food to fuel that energy. Some people are very good with fasting but for others it takes a toll on their body. One day fasting is still fine or going on a just fruit or veggie diet. 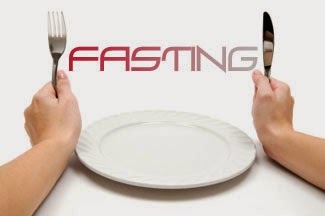 Fasting might help but it's important not to stuff yourself with unhealthy food or too much carbs after fasting. I didn't know the benefits till now but it might not be good for those who has a weak stomach. True..Stomach needs rest too. We keep on eating and eating and really take it for granted!